Somebody’s favorite nephew is turning one! 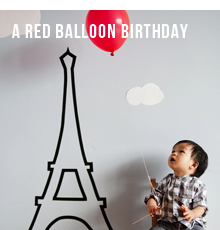 For Elijah’s first birthday, my sister thought it would be fun to have a Red Balloon-themed birthday party in honor of the popular children’s movie/book and to pay tribute to Elijah’s recent trip to Paris. He’s quite the little globetrotter, that little Smush (my favorite nickname for him!). 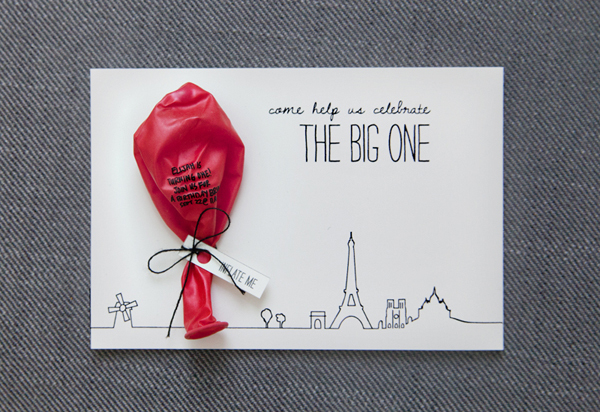 For the invitations, I decided to use the string of the balloon as loose inspiration for the overall look of the card. 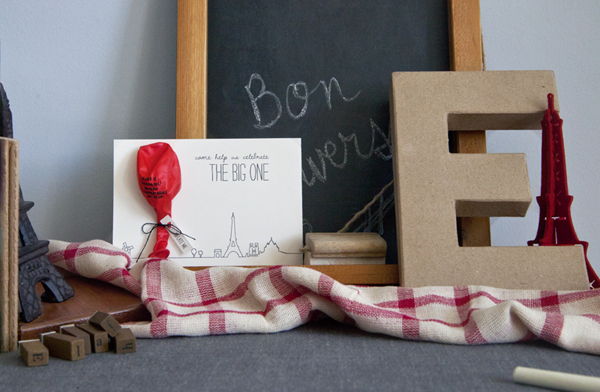 The string “floats” around Paris, outlining several major monuments (a la Harold and the Purple Crayon) and finally floating to their new home in Beijing. Edit: Here’s how the party turned out! Edit: Click here to see pictures and details from the party! Posted on September 11, 2012 by becca. 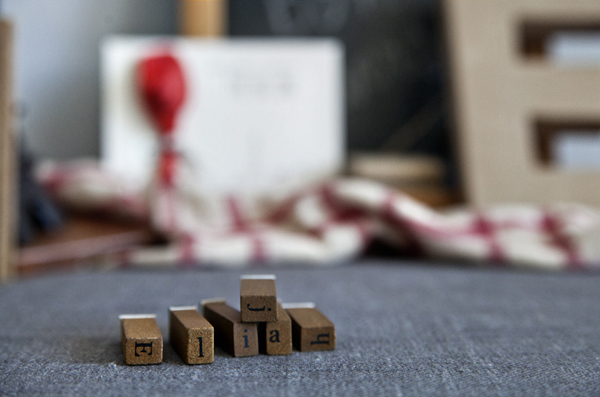 This entry was posted in Children, Custom Design. Bookmark the permalink. Oh my gosh! This is too cute. My 15th birthday was coming up and i always have unique invites, one year it was on a piece of cloth rolled up because I had it at a waterpark, and another year i had it on a chocolate bar. I wanted to have a really cool one this year, and this is perfect! So easy, and just wonderful! Thanks for the idea, keep up the good work! hi! 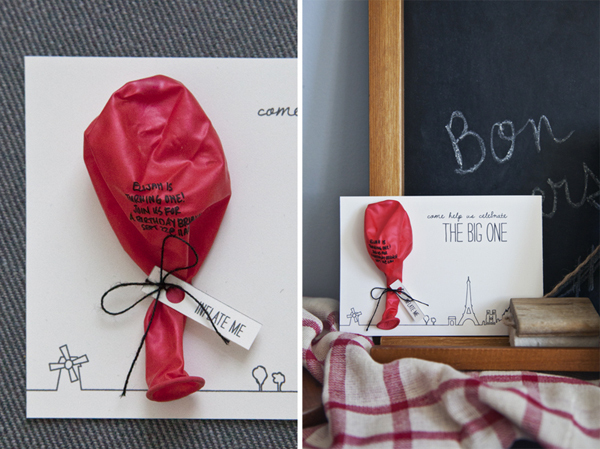 i love this idea and tried to do something similar…but the marker kept smudging everywhere! 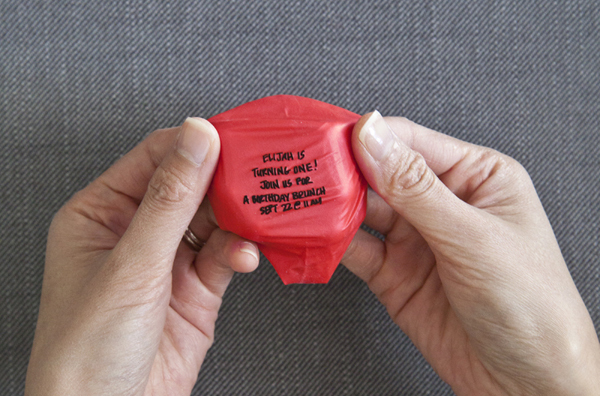 can you share any tips you have for keeping a clean, smudge-free balloon? thanks! @laurice, we had a similar problem too. 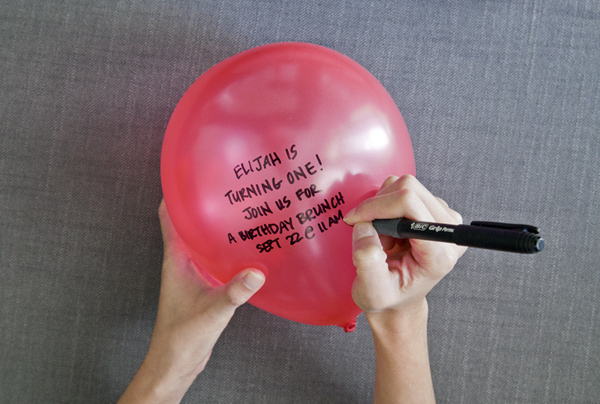 The only solution I’d recommend is being extra careful not to touch the balloon after writing on it. 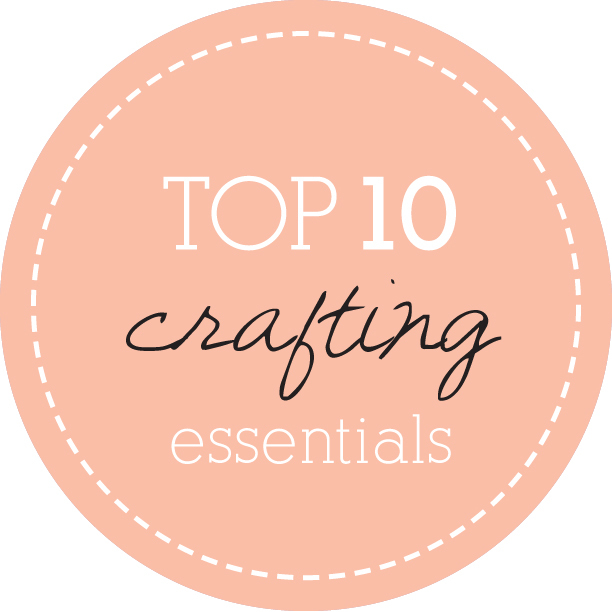 And also be careful when putting it into the envelope as well! 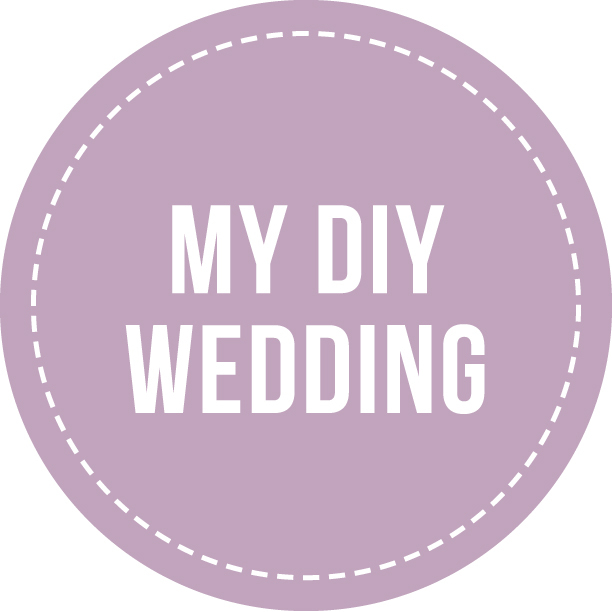 I found this idea elsewhere but I love how simple but elegant yours is! I tried practicing with a bunch of balloons but always had trouble getting the ink to not smear as well. If I let it dry while inflated the balloon looked to warped and goofy. and if I blew it back up it seemed to fade a bit or flake off making it hard to read….did you have this same issue?? Thanks! 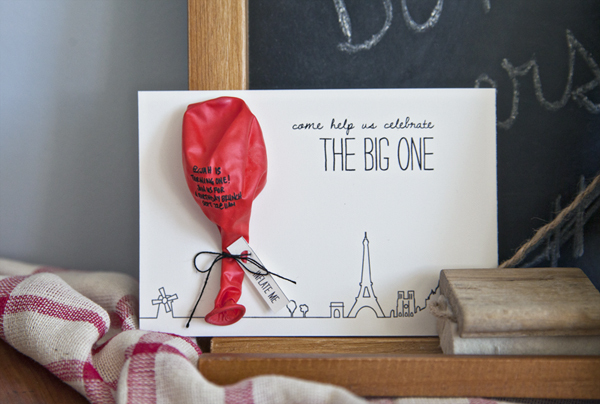 i love this idea and i’m planning for my boy’s 1st party…can i know how u stick the balloon on the invitation card? 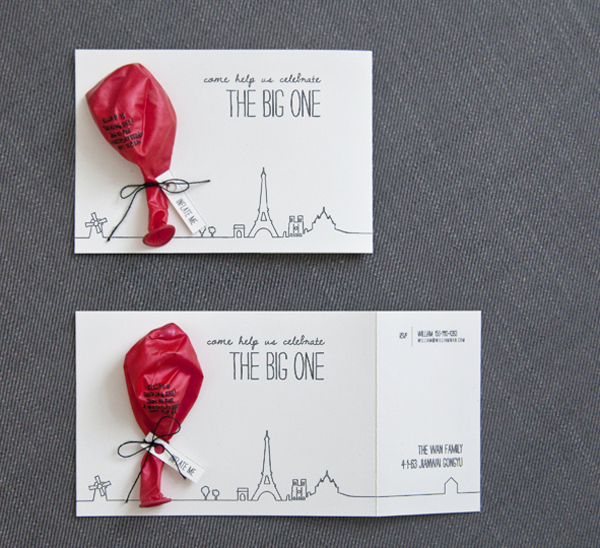 Hi Pamela, I cut two slits in the card, string the black string through them, then tie it together with the balloon. thanks for the great ideas! 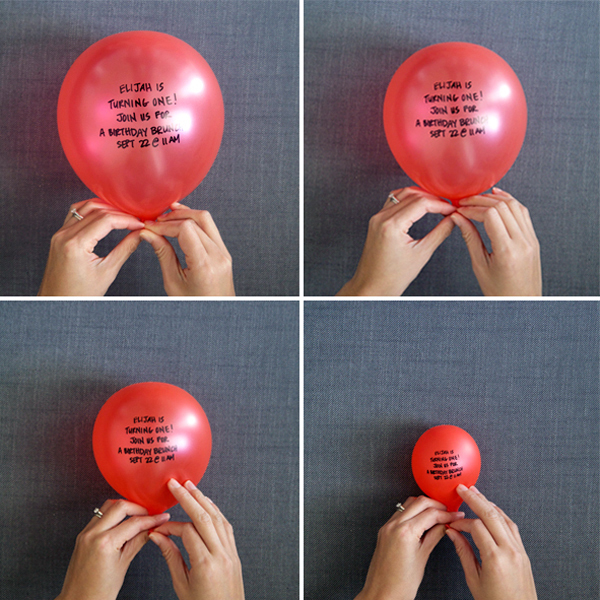 anyway are u using double sided tape to stick the balloon? 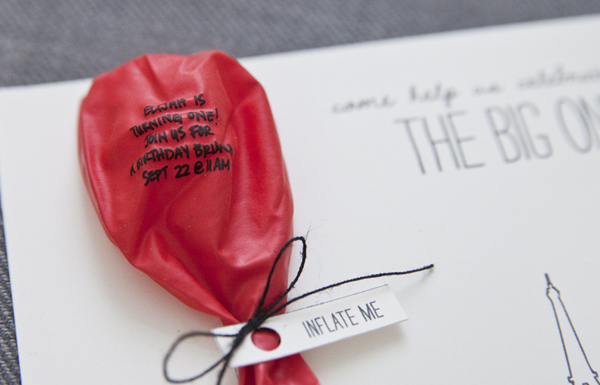 it looks like the balloon is hanging on the invites? 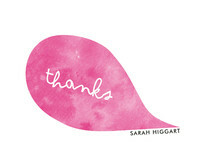 thanks again dear for replying. 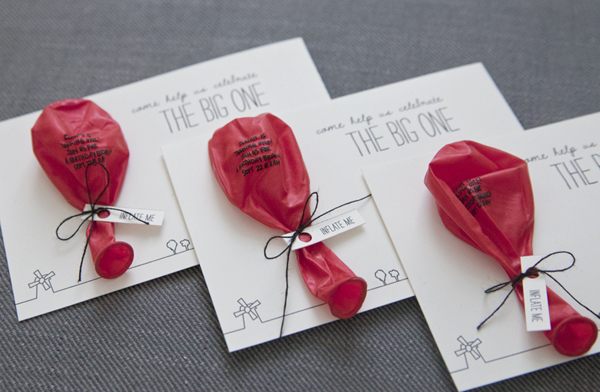 I think I may have put double-sided tape on the balloon to stand them up for the photographs, but didn’t do that for the ones I was handing out!